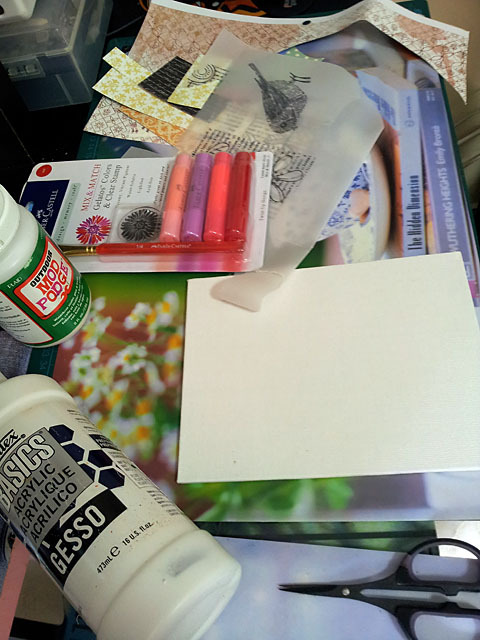 1) First, I gather the materials that I would be needing in my small project. 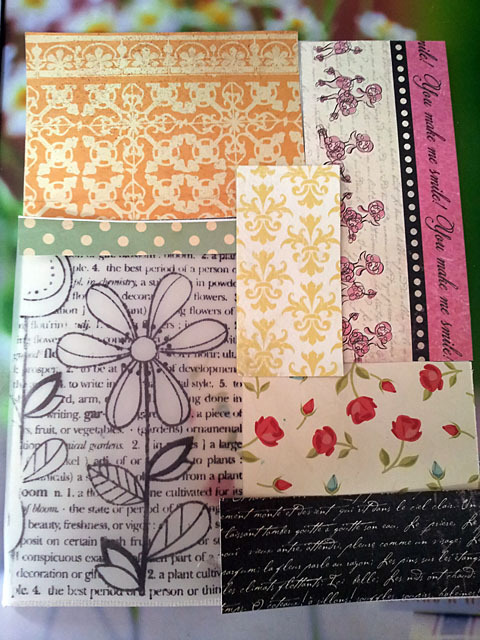 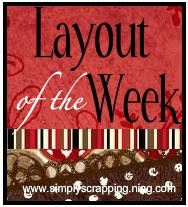 2) I cut out my scrap papers to fit in to my canvass (5.5" x 7.1"). 3)After adhering my scraps to my canvass, I gesso-ed it. 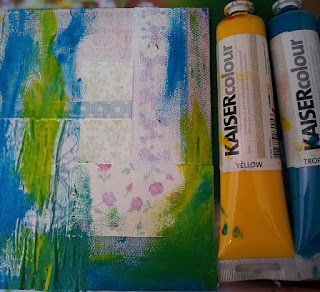 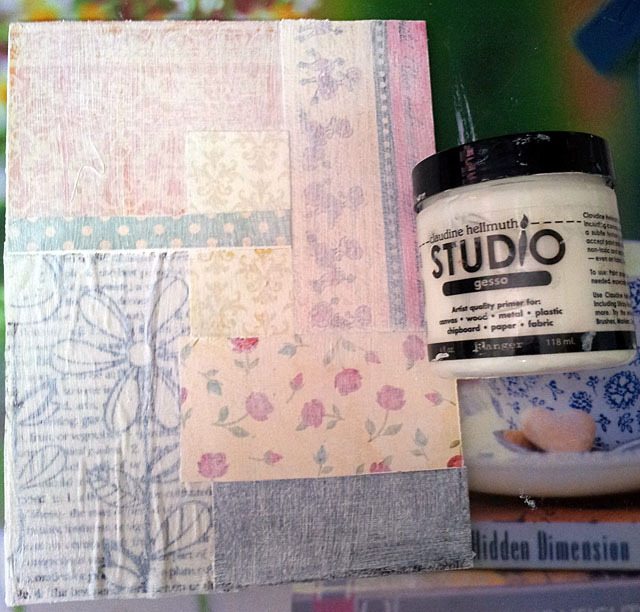 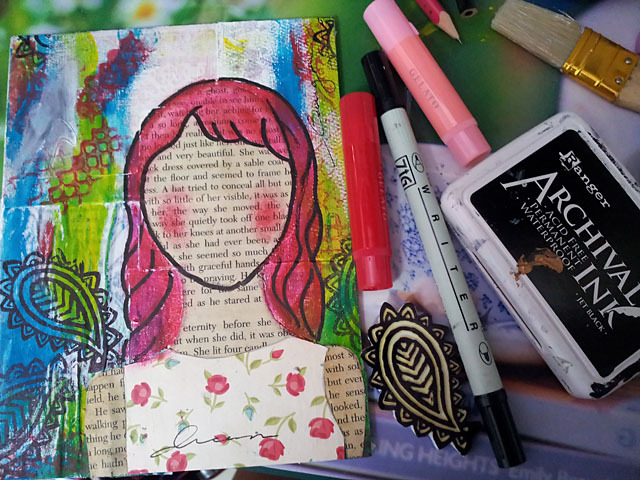 4) Using my fingers, I smudge some acrylic colors to my collage. 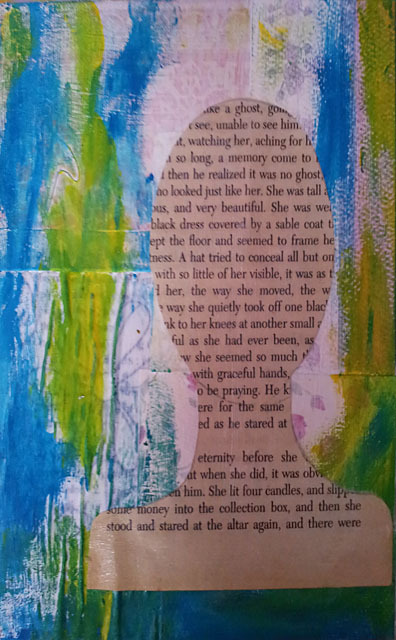 5) I cut out an image of a person from book. 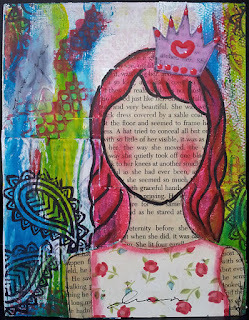 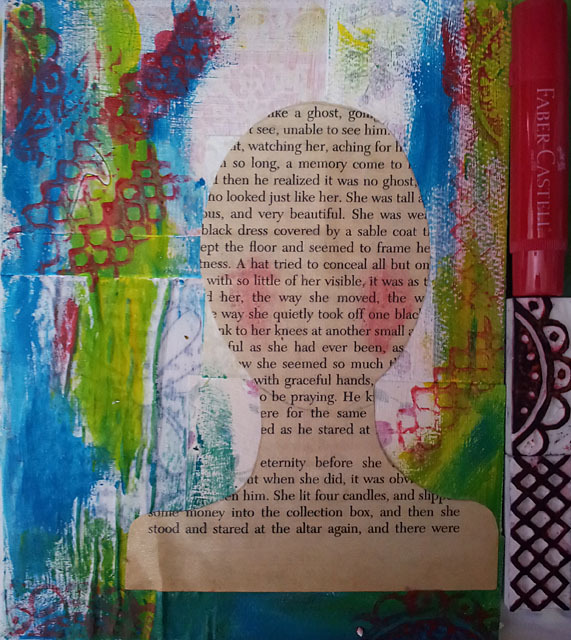 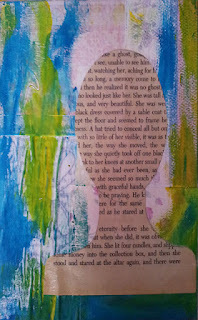 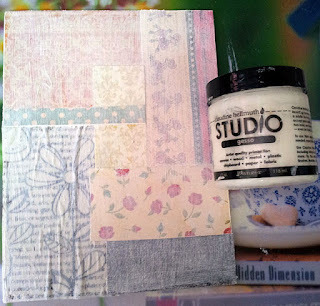 6) I brushed water to my handcarved stamps, then smudge the Gelatos into it and stamp my image directly to my collage. 7) I draw the hair using a marker and color it with my Gelatos. 8) Added a few stamps images (my hand carved stamps), doodle some words and add a bit of stickers. Finished Product. Hope you like it. 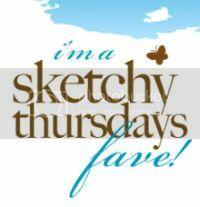 Thank you for your time looking and have a great day!